Written by Tomoco Kanemaki (scenario writer for 358/2 Days) and illustrated by manga artist Shiro Amano, the Kingdom Hearts Re:coded novel provides more in-depth story details for the game, allowing fans to reexperience the game in a whole new way! Pre-order Kingdom Hearts Re:coded: The Novel right now on Amazon and Barnes & Noble. Remember to purchase a copy of the latest release in the Kingdom Hearts novel series, Kingdom Hearts 358/2 Days! Also, don't forget to pick up a copy of Kingdom Hearts: The Novel, Chain of Memories: The Novel, Kingdom Hearts II: The Novel Volume 1 & Volume 2, and the Kingdom Hearts manga series by Shiro Amano! More interested in the BBS novel. Hoping we get to see more development of Vanitas that the game sadly didn't have time to cover. I'm just saying everything is chibi now; get ready for KH4 to be chibi or Funko Pops. 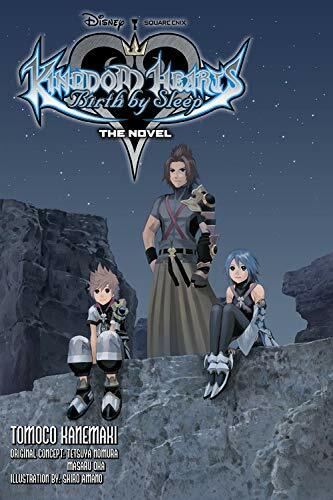 Is there a point in reading these novels now that KH3 is has came? The only thing i can think of is more insight of ventus and thats about it. Are there novels for everything up to reCODED? This was however chibi already years ago. This novel has been out in Japan for almost a decade by now. Depends on what you expect from them. The novels do character interactions, motivations and general characterisation much better than the games. Another point is that you get to be privy to many characters inner thoughts which may help understand their actions better or from a different angle. When it comes specifically to BBS there are complaints around that the game BBS didn't do enough to actually portray the supposed deep friendship and bonds between the three central characters, something the novel does better. There are novels all the way up to KHUX but no novel for 0.2. KH3 comes out next month in Japan. KH3 light novel is multi-part in Japan (donâ€™t know how many). IIRC the BBS novels donâ€™t have illustrations (at least the black-and-white ones) since the artist was sick at the time. Yes, Amano was sick at the time of the light novelâ€™s publishing run in Japan. He did illustrate the covers, though. I would take a Fenrir to the face before I willingly subjected myself to only the writing in this series. Good to see another KH novel making its way West! After Recoded what will it be? Dream Drop Distance? Could we get a third novel release this year? SO, so glad to see Re:coded making it's way west. I didn't realize the BBS novels didn't contain illustrations either. Less Amano art is a damper, but not enough to rain on a localization parade. Yen Press seems very passionate about the whole series, so Iâ€™m sure KH3D will be next. Not sure about this year, though. They always have pretty packed schedules.